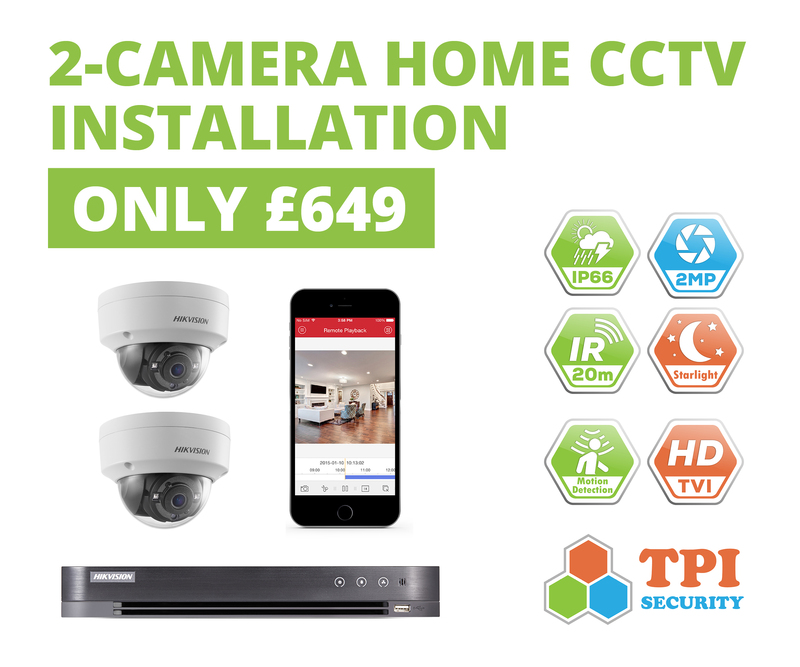 TPI Security is a home CCTV specialist providing value for money HD CCTV installations throughout Norfolk. We install many types of cameras from covert cameras to movable pan tilt and zoom cameras. We can tailor your CCTV installation to your needs so you get exactly what you want. Our Engineer Tim has completed the Hikvision Certified Associate Training Programe so we are well placed to install and service Hikvision CCTV systems. We are based in Dereham Norfolk and cover a wide area including Norwich, Kings Lynn, Cromer, Bury St Edmunds, Thetford, Wisbech, Diss and all areas in between. With shrinking forensics budgets the Police are relying more and more on CCTV in order to solve crimes. The office for national statistics recorded that Police forces in England make 14 arrests for every 100 burglaries. Home CCTV can give much needed evidence in the event of crime happening on your property. All of our CCTV systems come with the ability to view your cameras from anywhere in the world via your phone or tablet. Unlike many security companies we do not charge any extra for setting up your phone or tablet and will even show you how to do it yourself so if you upgrade or change your phone you won't have to pay to get the app reconnected again (something that many companies do). Choosing a CCTV system to install can be a minefield, you can go the DIY installation route with kits from Swann and Yale or you can get a professionally installed bespoke system from a security company. TPI Security believe that if you are going to protect your home with a CCTV system it should be fit for purpose. We can advise what system would best suit your needs what cameras would be best and either supply you the system to DIY Install or we can install the system for you. You will be pleasently surprised by our professional service and our low installation prices. The grainy images of past analogue CCTV systems are no longer the HD over analogue gives you full 1080p resolution. Analogue HD is the most cost effective CCTV system that we install and is the system of choice for the budget conscious. Simple upgrade of old analogue systems, if you have an existing analogue CCTV system you may be able to use your existing cables which will lower the installation cost. IP CCTV systems offer the best quality recording with resolutions up to 4K they offer the best video quality money can buy. IP systems can save on cabling costs using an existing network or by using single cables to run multiple cameras. You can also position IP cameras up to 1KM away from the recorder box using WIFI repeaters to send the signal perfect for outbuildings or stable blocks. Whatever your requirements TPI Security are on hand to help give us a call you might be surprised at our prices.